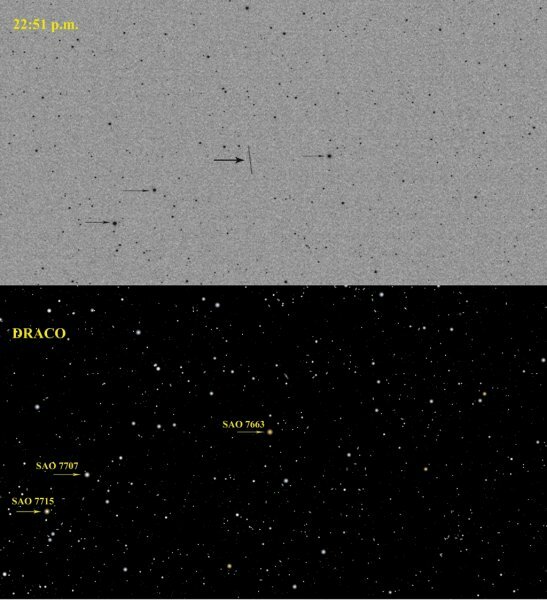 Although I was completely clouded out last night I still managed to grab a 1-minute exposure of asteroid 2012 DA14 through thin high cloud. Not the best image ever taken with the mini-WASP, but at least I got a record of the thing. 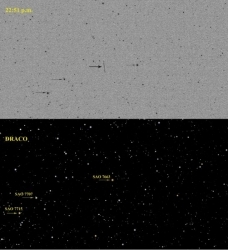 THe asteroid was moving through Draco at this time and the planetarium screen grab in the lower half of the image shows the region in Draco.